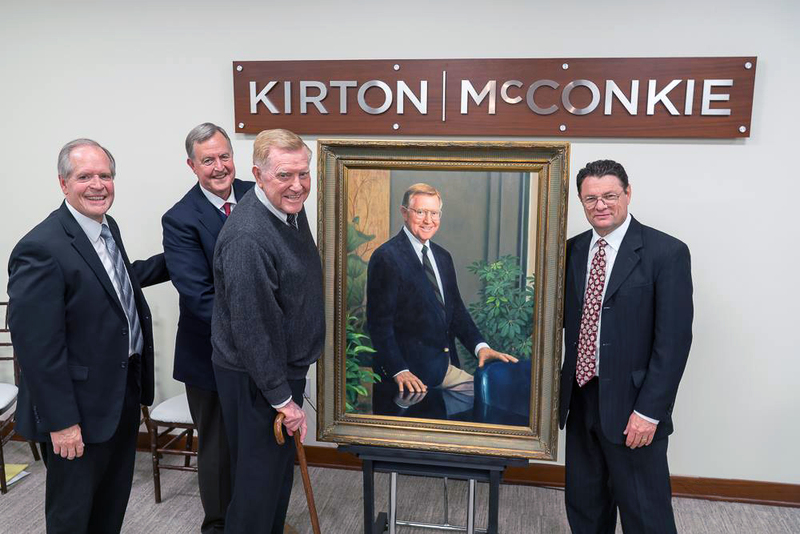 The portrait will permanently hang in the Kirton McConkie lobby in the Key Bank Tower facing the portrait of Wilford W. “Bill” Kirton, also a founding partner, who passed away in 2000. Since 1964 the firm has grown to be the largest law firm in Utah with 152 attorneys and three Utah locations. Among the major clients it represents is The Church of Jesus Christ of Latter-day Saints with its world-wide interests and affiliated entities. Oscar W. McConkie, Jr. was born May 26, 1926. He married Judith Stoddard, March 17, 1951, and they had eight children: Oscar III, Ann, Daniel Stoddard, Gail, Clair, Pace Jefferson, Roger James, and Edward Stoddard. Oscar graduated from the University of Utah in 1949 in the Political Science Department of Public Administration and received his Juris Doctorate professional degree from the University of Utah College of Law in 1952. He practiced law with his father, Oscar W. McConkie (a former Utah District Court Judge), and older brother, F. Briton McConkie, under the name McConkie & McConkie from 1952 to 1967. Oscar served as: Summit County Attorney (1959-1963); member of the Judiciary, Revenue and Taxation, and Rules Committees of the Utah House of Representatives (1955-57); President of the Utah State Senate (1965-1966); Chairman, Utah State Board of Education (1983-1985); Chairman of the Advisory Committee on the Local Rules of Practice United States District Court for the District of Utah (1998 to the present); and member of the Citizen Committee on Judicial Compensation (1997 to present). In July of 1972, Oscar McConkie was called to preside over the Arizona Mission. He practiced law at Kirton McConkie until his retirement in 2009. Leon is currently a member of the art faculty at Brigham Young University-Idaho. As faculty of 27 years, he has taught drawing, design, color, illustration and oil painting. He has served the past three years as Chairman of the Department of Art. With nine years of formal art training, he earned three degrees; an Associate in Art and Science in 1974, Ricks College, Idaho; a Bachelor of Fine Art in Illustration, 1977, The Art Center College of Design, California; and a Master of Fine Art in Illustration in 1985 from Syracuse University, New York. 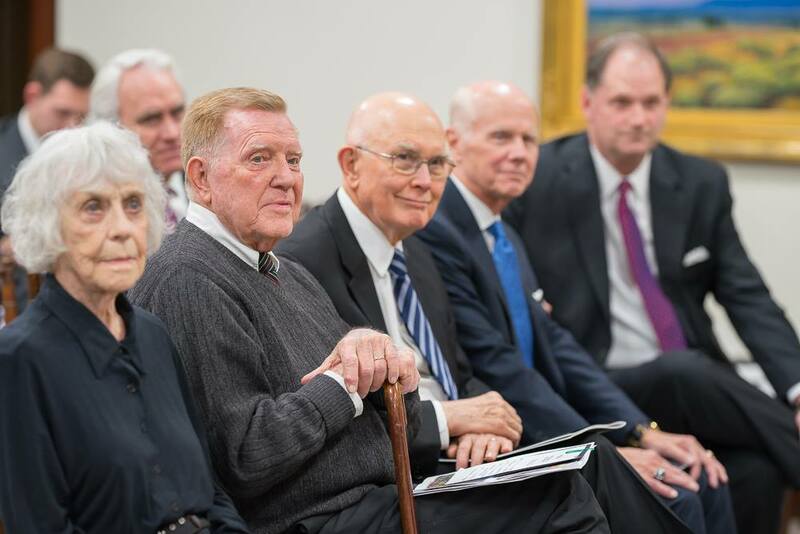 Leon has painted portraits of numerous Apostles, including a portrait of President Thomas S. Monson, which hangs in the Joseph Smith Memorial Building with the other Prophets since the Prophet Joseph Smith. He painted a portrait of President Gordon B. Hinckley, which hangs in the Hinckley building at BYU-Idaho. 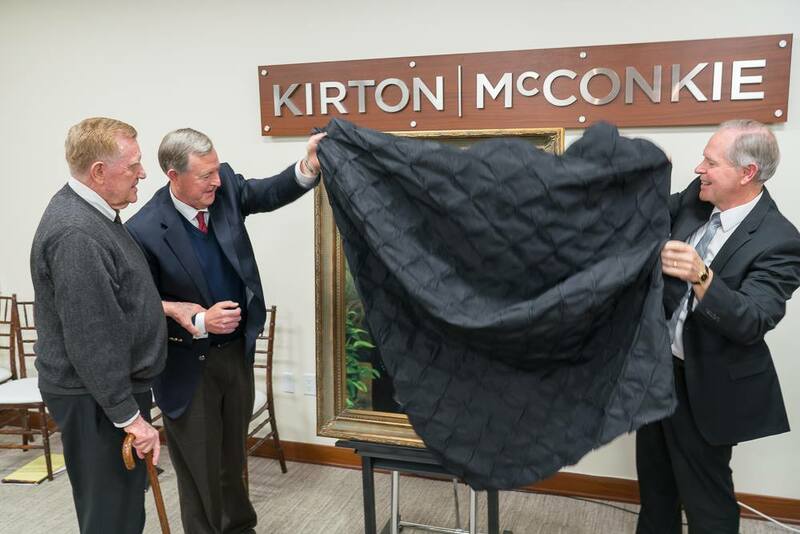 He painted a portrait of President Pershing of The University of Utah, and one of President Samuelson of BYU. Leon has also painted the murals for ordinance rooms in the Rexburg, Idaho; Twin Falls, Idaho; and Calgary, Alberta, Canada Temples, and is currently painting the mural for the Rome, Italy Temple. Leon resides in Rexburg, Idaho with his lovely wife Kathryn. They have been married for thirty-three years. They have seven children and ten grandchildren.